Connecticut Public Television > Inside CPTV > How Not to Die with Michael Greger, M.D. Learn how to protect yourself from 10 causes of premature death and disease with a plant-based diet. Based on Dr. Greger’s best-selling book, this new special shows viewers how to become healthier and live longer. 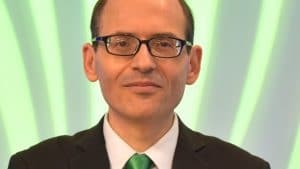 Dr. Greger explains the research behind his recommendations in an entertaining and easy-to-understand way. Viewers will learn how to help prevent and even reverse heart disease, cancer, diabetes, strokes, and other common diseases. On CPTV: Monday, November 27, 2017 at 8 p.m.